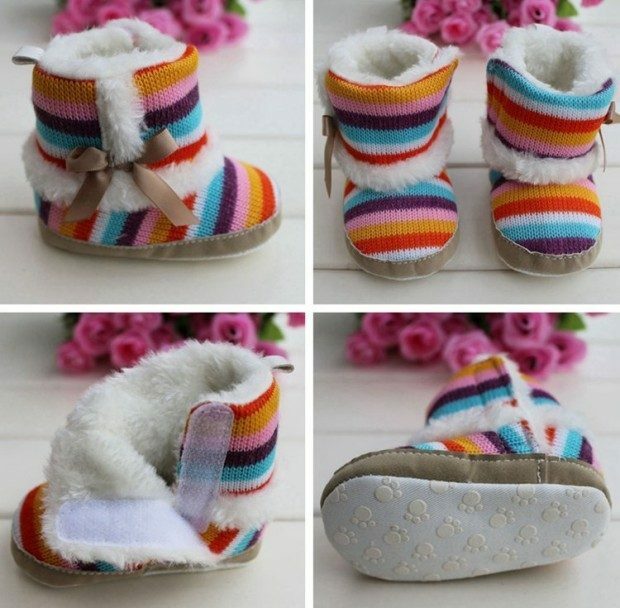 Rainbow Baby Boots Only $8.82 Shipped! You are here: Home / Great Deals / Rainbow Baby Boots Only $8.82 Shipped! Perfect for your little winter cutie pie! Order these warm little Rainbow Baby Boots for Only $8.82! Ships FREE! Warm, furry lining with a hook and loop closure and a non-skid sole!